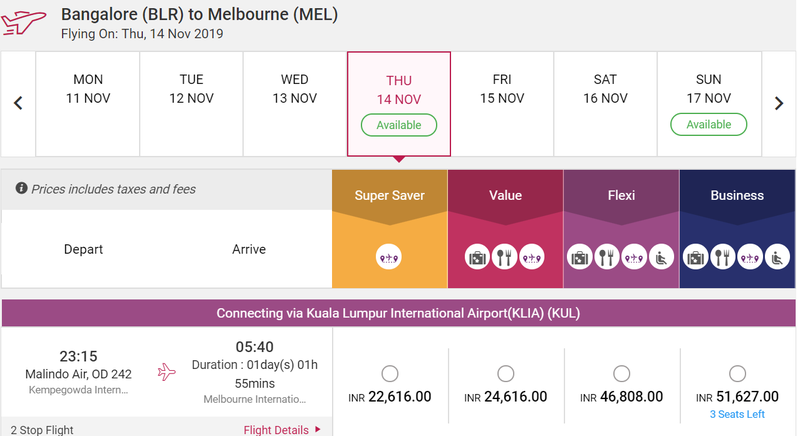 Malindo Air has introduced a 'Super Saver' fare category-slightly cheaper fares but without meals and checked baggage. 7 Kg cabin baggage is allowed in economy class across fare types which isn't clearly called out in this official chart though. Looks like Super Saver fare is an attempt to take on Low cost competitors like Air Asia. But is the savings enough? I tried multiple dates and destinations- found that Super Saver fare is roughly 10% cheaper than next fare class- Economy Value. This means savings of about 2000 INR for long haul flights, less than 1000 INR for short flights (one way) on booking Super Saver. Is that temping enough? What do you think? 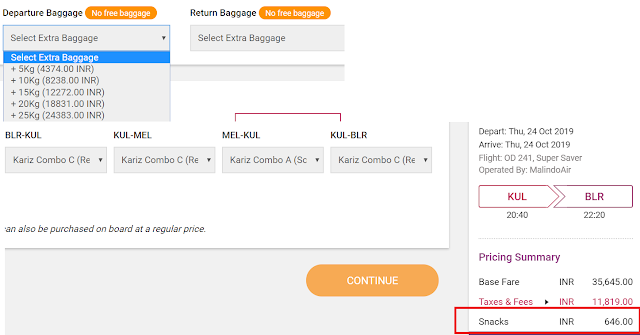 To me it is tempting only if the fare cheaper or at least matches Air Asia fares..
Also to be noted checked-in bag limit is down to 15kg from 25kg last year (which was 30 kg in 2017). All signs of airlines across the world trying to cut cost and make passengers pay more. How much do the baggage and meal cost on Malindo air? For the BLR-Melbourne route above, checked in baggage would cost from 4.4k to 25k one way depending on weight. Even if you have one small bag to check-in, it makes more sense to buy the Economy Value ticket which includes meals and 15kg baggage allowance. Snacks (not full meals) cost about INR 161 per serving. Full service airlines across the world are forced to compete with low cost airlines. 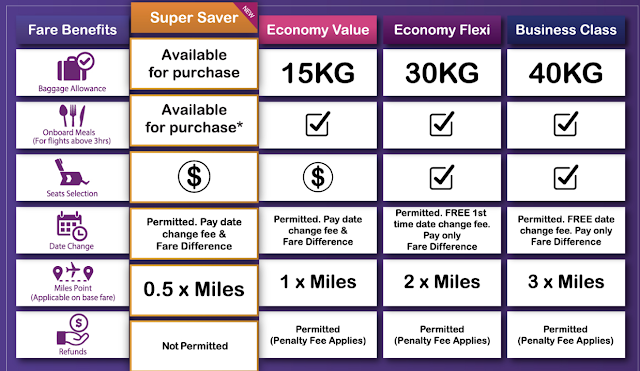 Vistara launched Vistara Lite fares last year. Jet has also taken away meals in economy. So be careful what you're booking- don't assume your fare includes everything just because it is a full service airline.